Chrome, Opera, Firefox - no problem. hello, klu. Is the downlist button of city can't work? 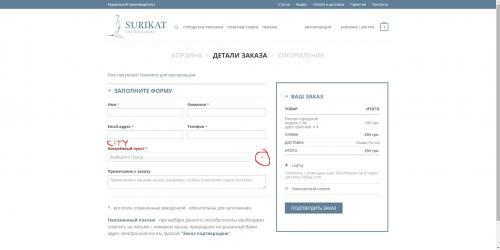 Hi, klu...I can't understand language...could you tell me how to get this page from I enter this website? I wanna duplicate this problem on my computer. Thanks a lot and looking forward to your reply. Go to the main page of the site, click on any section and add an item to the shopping cart. Then click the cart button top right and it should take you to the page as shown in the original post. I tried it. It also happened on my computer. I also tried it on other browser. I think it should be a bug. but it need to be confirmed by test team. Need them to open a bug report. I already transferred information to test team. If it confirmed as a bug, I will contact you ASAP.